I want to learn something new every day and I try to do that. For example, today I learned a word: anatidaephobia. It’s a natural fear of something — you’ll never guess it even if we sit here for two million years — It’s the irrational fear of being stared at by a duck. Don’t you forget it! So, I finally saw Murder on the Orient Express tonight and loved every minute of it. I’ve seen many reviews from critics who have given it harsh reviews, but I found it quite enjoyable, more so than the 1974 adaptation. Another promo shot of Judi as Princess Natalia Dragomiroff in the upcoming adaptation of Agatha Christie’s Murder on the Orient Express. Summary: When Miss Bowers saves fellow passenger Olivia Mathews from certain death, it awakens a hidden desire in both women, that will ultimately change their lives. Notes: A random idea I had when watching the 1978 adaptation of Death on the Nile. I have based my OC, Olivia Mathews, on the characteristics of Judi Dench when she was in her 40s, to coincide with Miss Bowers age in the movie. I have also given Miss Bowers the first name of Kathryn for the purpose of this story. I do have more of this story written with an actual plot, but I have no idea whether to continue and publish the full story once it’s complete, or just keep it as a private project. So, I have decided to post this little snippet, as I quite like how this part turned out. 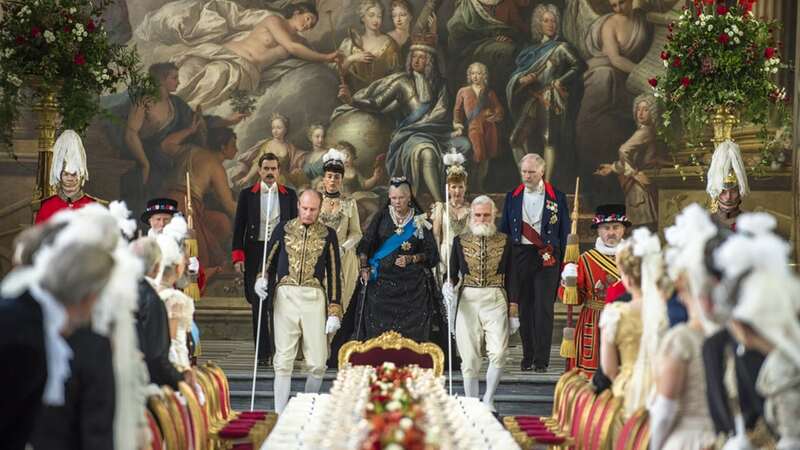 A publicity still from the upcoming movie: Victoria & Abdul, directed by Stephen Frears. Photoshoot of the cast in Agatha Christie’s ‘Murder on the Orient Express’.